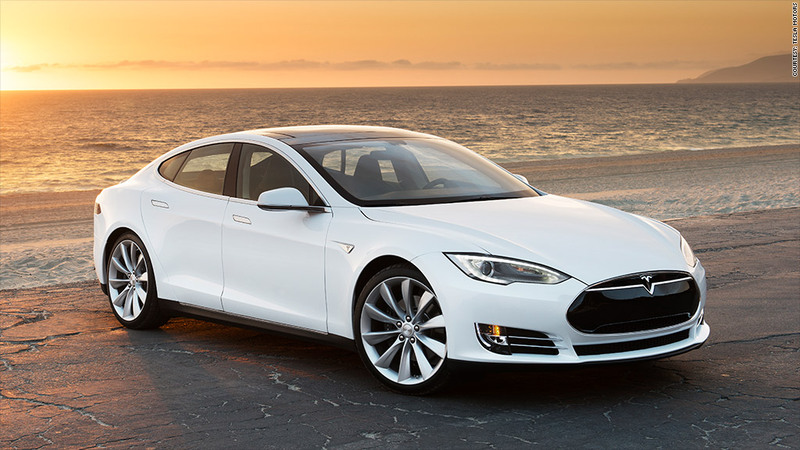 The all-electric Tesla Model S is Consumer Reports' all-around top-rated car for the 2014 model year. The magazine praised the Tesla's (TSLA) "blistering acceleration, razor-sharp handling, compliant ride" as well as its roomy, flexible interior which can seat up to seven people, provided two are small children. Last year, Consumer Reports called the Model S the best car it had ever tested. The magazine also named its top choices in 9 other specific categories. To be named a "Top Pick," a car has to get the best scores in the magazine's performance tests plus it has to have average or better predicted reliability as measured in Consumer Reports' annual owner survey. In the auto industry, Consumer Reports is widely considered to be the single most influential magazine among car shoppers. Published by the not-for-profit group Consumers Union, Consumer Reports purchases all the cars it tests rather than relying on vehicles supplied by manufacturers. It also does not publish paid advertising. All the cars are tested on the magazine's Connecticut test track as well as on real roads.